Do your team members rely more on email, messaging, and brief check-ins at staff meetings than face to face communication? This lack of meaningful communication lies at the root of many team problems. It can lead to mistakes, quality problems, conflict, misunderstood needs, and lost opportunities. 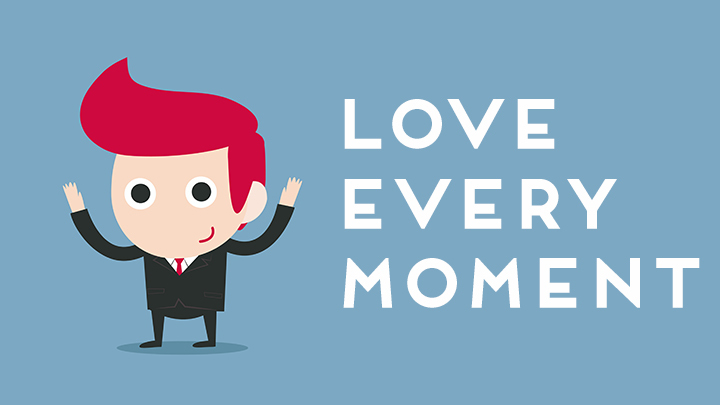 That’s why it pays to develop team communication skills – the face to face kind! In a world of electronic communications, it pays to develop face-to-face communications skills. As a leader, you will spend less time solving issues of miscommunication and more time working towards your important goals. Everyone will know how to actively listen for understanding so conversations will be more productive and positive. You will even notice less anxiety towards, or outright avoidance of, face to face discussions. 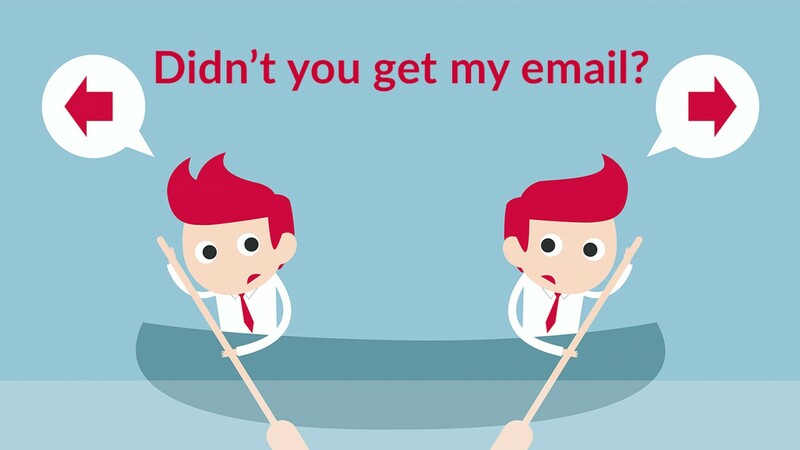 Your team members might even rely less on email, messaging, and other “what did you mean by that? !” apps! In this workshop, we don’t teach your team to create comedy. 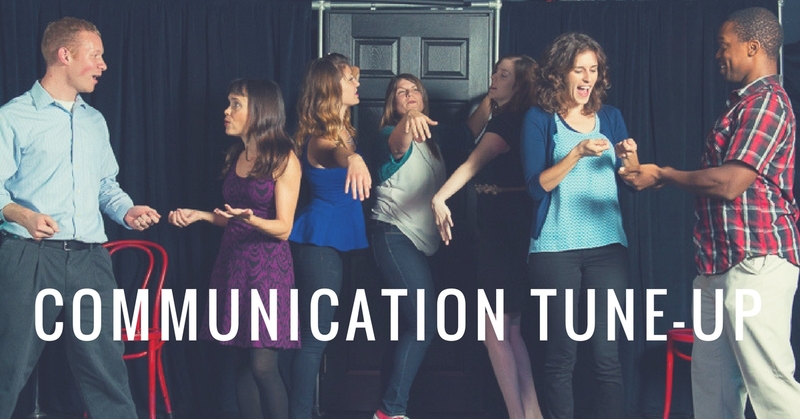 We teach some of the skills we use to improvise entire comedy shows on the spot so your team can communicate well enough to collaborate like the pros. In every workshop we teach, we create a learning lab environment where every participant feels supported and able to take risks. Since learning happens best when we are just slightly out of our comfort zones, our facilitators constantly monitor the comfort level for each person in the room and ensure they find success just outside of their comfort zone. We pay close attention to introverts and help create space for them in a room of extroverts. No one is expected or encouraged to be funny, but everyone will be laughing a lot – and everyone loves to laugh. Exercises are introduced at various levels of difficulty, concentration, and risk-taking so we can start at a comfortable level and quickly adjust to meet the team where they are currently at. Each exercise has a few simple rules plus a point of concentration. Just like basketball or any other team sport, the point of concentration is a single focus the group shares towards achieving a goal, just like getting a ball in a basket as many times as possible within a time limit. In this workshop, we focus on exercises designed to get everyone communicating at the same high level of an improv ensemble. Participants will practice body language, active listening, speaking up when needed, and giving and taking in communications. Most importantly, after each game, we spend ample time debriefing the experience and applying it to real-world challenges or goals. Our facilitators aren’t just actors or comedians, they have real experience in business and are highly adept at helping participants discover connections between the skills each game builds and their everyday work lives. Our Communication Tune-up Workshop is best for teams of 10 or more that are working towards shared goals and know that they will achieve those goals faster and more effectively with improved interpersonal communication. It’s usually booked by HR managers or team leaders that recognize that effective communications is a highly important skill that many of us don’t do as well as we think we do! Ignited a fresh new approach to communication within our team. Taught us to listen, trust, and respond in a bold, honest way. Helped us discover some issues with brainstorming and how to ensure everyone’s voices are heard. Got our team open, trusting and ready to move forward with positive communication and relationship building skills. Created a significant shift in our mindset as it relates to positive communication. Got people that don’t normally talk much or share their ideas to do so more freely. Learned valuable ways to approach difficult conversations. A two-hour Communication Tune-up workshop starts at just $1,300 for 10 participants. Workshops take place at our North Park area training center or at your local San Diego office. This workshop is usually delivered for groups of 10 to 18 participants. We will add additional instructors for over 18 participants to ensure everyone is actively learning. Request a quote for larger groups, longer workshops, multiple workshop discounts or out of area locations. Not sure your group is ready for this? Start with our Connect+Humor Intro Workshop. 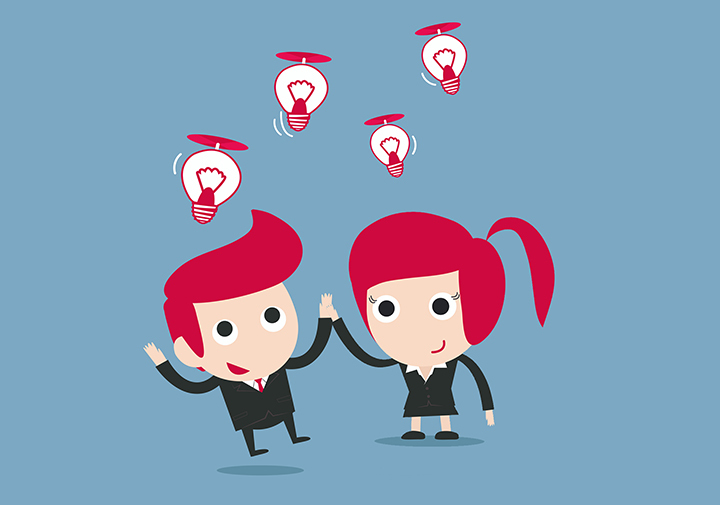 We guarantee your team will be inspired and collaborating more effectively in just one session! 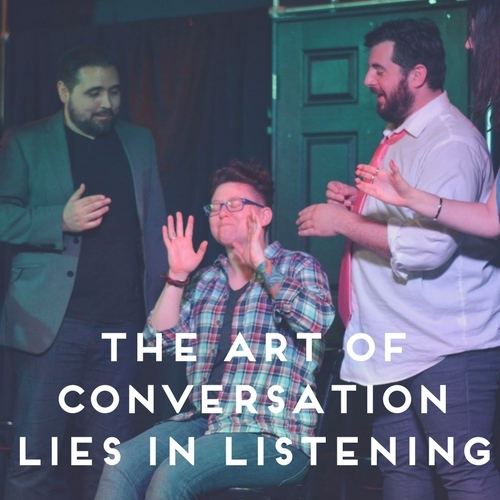 It is highly recommended that groups complete this workshop before moving on to our Spirited Collaboration Workshop, which builds on the trust, support, and communication skills learned in Connect+Humor and Communication Tune-up. We also create customized programs for companies, conferences, and retreats as well as keynote presentations and corporate entertainment. Contact us for a free consultation. Their keynote knocked it out of the park! Finest City Improv was anything but traditional in their keynote presentation. They had our large group up on their feet utilizing the principles of improvisation right away. We will not hesitate to work with Amy and Kat again, as our team is already taking to the “Yes! And…” philosophy that was taught in the presentation. They knocked it out of the park! They knocked it out of the park! Thank you Finest City Improv for the fantastic team-building activity for San Diego City College's Life Sciences Department. Not only was the workshop lots of fun for all who attended, it also allowed faculty and staff to bond while working on effective communication skills via improv games. I look forward to working with you again in the future! Wow! Within just a couple of hours, Amy and Kat had our team open, trusting and ready to move forward with positive communication and relationship building skills. We received rave reviews from our tribe members (employees) and created a significant shift in our mindset as it relates to positive communication. The “Yes.. And” was especially powerful as well all of the stimulating activities that got us out of chairs, out of our comfort zones and on the path towards self-awareness and development. Bravo Finest City and we will definitely request a repeat performance! Our team loved the opportunity to come together and play in a creative and supportive environment. Our teachers will definitely use the “Yes! And…” concept while working with their middle school aged students. 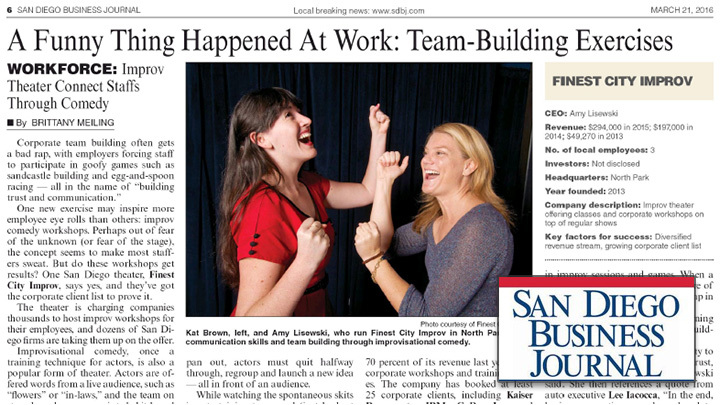 We were thrilled with the experience and would recommend this spirited collaboration for any team that is looking to infuse laughter into their work space. These exercises build confidence in a group and for each individual. I loved the improv class. I thought it was very funny and it was a great team experience. I think from a business and professional stand point it was really good too as we discovered some issues with brainstorming and some people not getting their voices heard. Amy was great and made everyone feel comfortable. These exercises build confidence in a group and for each individual. We couldn’t have asked for a better afternoon! Our custom workshop focused on working as a team and how we can best build off each other’s ideas. 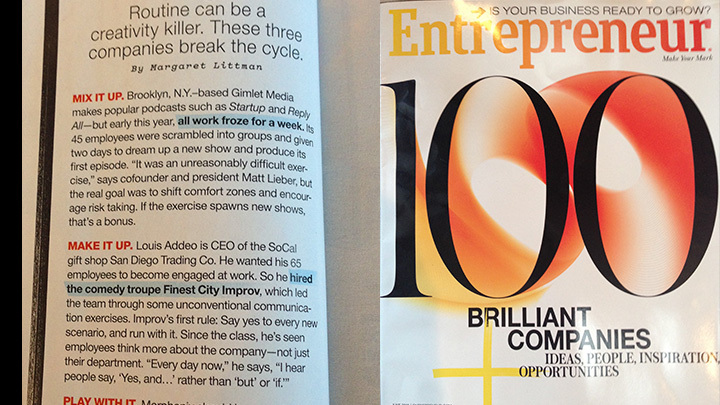 Finest City Improv directly related all their lessons to our GoPro brand, and through the magic of improvisation we elevated our game. Finest City Improv directly related all their lessons to our GoPro brand, and through the magic of improvisation we elevated our game. I asked how many would do it again and they all raised their hands! When my team realized I had scheduled a teambuilding that involved Improv, there were a lot of surprised and very nervous looks. I asked the team after the session was over how many were afraid at the beginning and 50% raised their hands. I then asked how many would do it again and they all raised their hands! This teambuilding was a great mix of bringing the team together and providing training on leadership tools and awareness. The learnings will be immediately impactful. The instructors were high energy and did a great job of making it fun, engaging and educational. I asked the team after the session was over how many were afraid at the beginning and 50% raised their hands. I then asked how many would do it again and they all raised their hands! We were so impressed with our workshop from start to finish. We were so impressed with our workshop from start to finish. The Finest City Improv team was so thoughtful and helpful in planning our custom workshop. We loved the variety of exercises to get us all working together. It was exactly what we needed! Days after we were still talking about the experience! The staff at Finest City Improv hit it out of the park on all counts. They customized a workshop that was fun, informative, and engaging. We walked away from the workshop a more cohesive team and inspired to take that energy back to our own respective teams. Days after the workshop my key managers were still talking about their experience and applying what they learned to their daily work. Kat and Amy were full of energy and excitement with our group, what I loved most was their ability to get the team engaged. Everyone participated and the end result was a room filled with confident sales people who had just finished a bunch of activities they would normally never participate in. I would highly recommend their workshop to other companies who want to have fun while they work! Finest City Improv managed to turn a group of attorneys into funny folks, as we improvised our way through challenges, bonding as a team along the way. The Finest City Improv team was so thoughtful and helpful in planning our custom workshop. Our president said it was the best retreat, bar none, that he had ever attended for any organization. I saw my heart-based entrepreneurs’ creativity and imagination come to life! 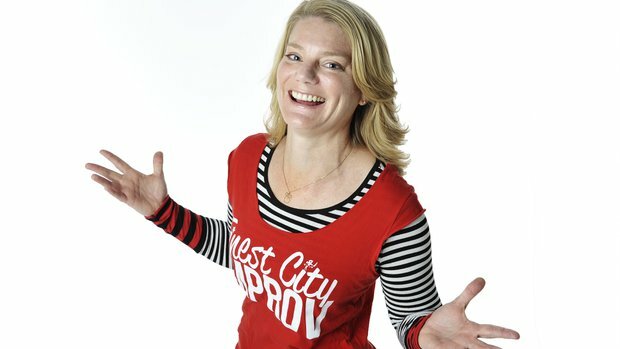 [The Finest City workshop was a] great way to use improv techniques to deliver important communication lessons for the workplace in a fun and intuitive fashion - I highly recommend. Have questions or want to book a workshop? Call us at (619) 306-6047 or email us to get started. Our workshops aren’t for everyone. While everyone can benefit from practicing improvisation for business (and life), our programs are best for organizations that recognize they have untapped talent amongst them and with more spirited collaboration and fresh challenges will be more engaged at work and accomplish more amazing things together for the business. We partner with companies that value a culture of idea sharing and risk taking and know that “culture eats strategy for lunch.” These companies don’t settle for “the way we’ve always done it” and are constantly looking for innovative ways to adapt to the changing business landscape. If this is you, we want to work with you to help you achieve every “stretch goal” you’ve set and increase your bottom line using the power of improvisation for business. Improvisation truly challenges people to be authentic, vulnerable, and participate fully in the team activity. And, that’s what we’ll bring to your team. Why using improvisation to teach business skills is no joke. 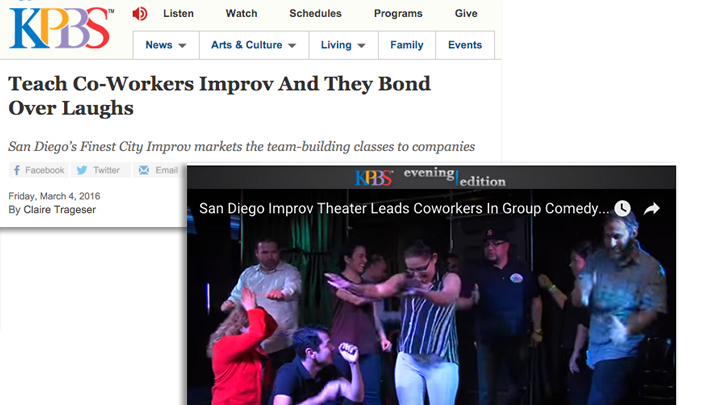 Getting to "Yes, And": How improv comedy skills became a must-have for entrepreneurs.